Soundgarden drummer Matt Cameron is paying tribute to the late Chris Cornell in the first public statement offered by a surviving member of the legendary Seattle band. 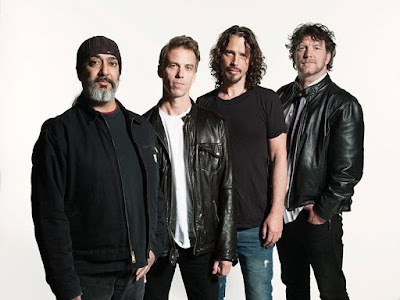 Cornell died at a Detroit hotel on May 17 following a Soundgarden concert at the city’s Fox Theatre during their spring tour of North America. The singer’s death has been ruled a suicide by hanging following an initial autopsy by The Wayne County Medical Examiner's Office, with a full report to follow at a later date. Cornell will be laid to rest during a private service in Los Angeles on Friday, May 26, with his attorney Kirk Pasich saying that “one or more public memorials will be considered” as the Cornell family deals with their sudden loss.